Traffic congestion cost British motorists £30.8 billion last year, at an an average cost of £968 per driver. 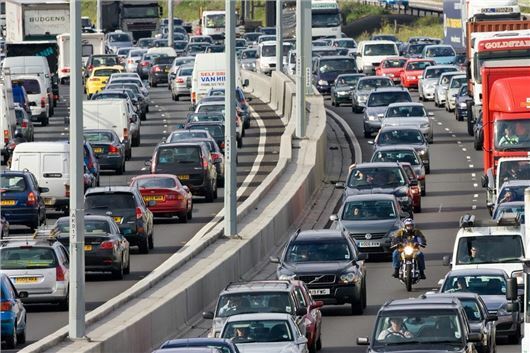 That's according to a study by traffic analysts INRIX, which concluded that drivers in the UK spent an average of 32 hours a year in traffic during peak times. The UK ranked as the fourth most congested developed country, of the 38 countries analysed. It was the third most congested country in Europe after Russia and Turkey. The total cost of congestion is calculated from direct costs, relating to fuel and time wasted, plus indirect costs relating to business fees from company vehicles idling in traffic, which are passed on to household bills through higher prices. Unsurprisingly, London remains the UK's most congested city, ranking second in Europe, with drivers spending an average of 13 per cent of their total drive time stuck in traffic. Drivers in London pay almost double the national figure, with £1911 each, and spend an average of 73 hours per year in gridlock. After the capital, Manchester, Aberdeen, Birmingham and Manchester round out the top five most congested cities in Britain. The study also identified the UK’s most congested roads and the worst time to travel along them. As can be expected, London's roads were the busiest during evening rush hour. Outside of the capital city, the A1 Southbound from College Gardens in Belfast was the most congested road, and the sixth worst congested in the UK, with drivers each spending 49 hours held up last year.